Take a monthly trip around the globe with our tea blends which originate from the finest tea estates and growing regions. Each tea blend is specially selected and contains a unique addition of fresh and natural ingredients. From a Mighty Mango Green Tea with sunflower blossoms to an Earl Grey with real rose buds and cherries. Not to mention our more traditional teas, such as a Japanese Geinmecha or Organic Lapsang Souchong. 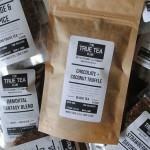 We deliver 4 different tea blends per month, and with over 126 tea flavours available, there's something for everyone. Each tea blend weighs 20 grams, which works out at over 40 cups of delicious tea per month. 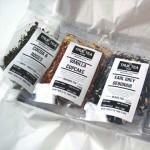 We also include spare tea sacs with your subscription box. All subscriptions are dispatched on the 20th of the month. Our tea boxes are sent as a large letter and will simply slide through your letterbox. 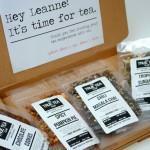 So you or the recipient won't need to be home when your tea arrives! 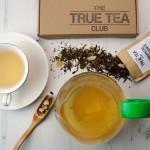 Be the first person to tell us what you think about True Tea Club and you'll save £2.50 on your next purchase! Subscriptions are dispatched on the 20th of the month.